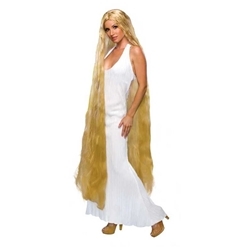 Lady Godiva Wig 60 Inches. Super long blonde wig. Great for a witch, Lady Godiva or a noble lady. 100 % Synthetic. One size fits most.